DJT At Trump Las Vegas Offers An Off Strip Expeience to Be Remembered For A Lifetime. The name of Donald Trump is often filled with images of opulence, luxury and sometimes controversy. 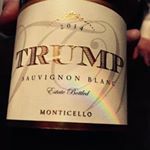 Recently we had the opportunity to re-visit DJT, the upscale dining venue at the Trump hotel in Las Vegas that is the reflection of the name it represents. Hidden away from the hotel row of Las Vegas Strip, Trump hotel is a gold monolith that rises above the ordinary for those who crave a five star experience without the din of casino gambling in the background. Being both family and dog friendly, we saw many young two legged and four legged visitors entering the hotel for a peaceful stay away from the flashing neon lights, cigarette smoke and roulette wheels. As the impeccably dressed valet opens our car door, the gleaming gold, marble and glass of the entrance gives way to more opulence as we proceeded into the lobby of the Trump Hotel. We walked up to the hostess stand amid a stunningly decorated dining and carefully ascended into a very private circular booth with plush indigo violet velvet curtains (that can be pulled together for more intimacy). We were greeted by the effervescent Kyuri Cheun. After her upbeat and energetic welcome and introductions to staff, we were well on our way to trying the seasonal chef’s tasting menu and the new beautifully crafted cocktails list. 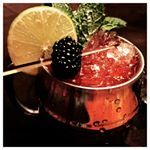 We started out with a with a creamy “Red Beret” followed by the Pamplemousse old-fashioned, the “Strawberry Fields” , an extraordinary Moscow Mule , “The Jockey “and rounding out our tasting was the refreshing “Watermelon Basil”. 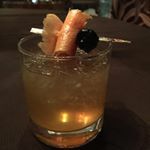 Each cocktail was handcrafted with the freshest ingredients to ensure that the flavors come sparkling through without being overwhelmed by the alcohol. One of the highlights of staying at DJT is the great care and attention to detail that is infused in everything that you may nibble or taste. We were impressed with the quality of each cocktail and the passion of which the mixologist stirred or shook to make sure that only the best is presented in the glass. Many people comment, “How do you drink or eat so much and yet maintain your sensibility and weight”? 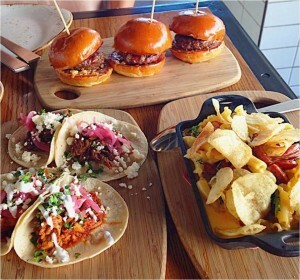 Our answer is always a little bite or taste at a time. 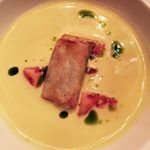 Being presented with an excellent array of food and drink it is often difficult to say no to over indulgence but our philosophy in our culinary journey has been creating a sense of moderation and respect to ourselves and to our hosts. DJT seasonal menu is both stunning, fresh and presented in the loveliest setting and with utmost sincerity. We did find it difficult to say no to consuming everything presented to us. 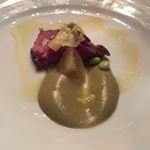 We started our evening with an amuse of seared lamb loin with a pea puree. This rich lamb gem got our palates working for the next course of Ahi tuna with Spanish octopus. 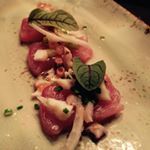 The Ahi was exceptionally fresh and the octopus cooked delicately, making it a perfect way to begin our evening’s menu. Ahi tuna with Spanish octopus. One of our favorite dishes of the night was the gazpacho, anchovy accented with heirloom tomatoes. The soup had a lovely creamy texture. The saltiness of the anchovy was offset by bits of plump juicy heirloom tomatoes. gazpacho, anchovy accented with heirloom tomatoes. The fresh cod dish was next on the agenda and again the fresh ingredients spoke for themselves. Paired with Trump’s own label Sauvignon Blanc, the dish became even more alluring. The meat course of wild boar was a good choice over the typical steak that is often offered on a menu. 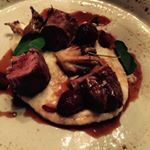 The parsnip puree was a welcomed addition of sweetness to the mild gaminess of the meat. 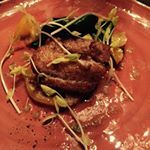 The wild boar entrée is a good choice for those who want something beyond the ordinary. Satisfied and satiated, we finished our meal with a cappuccino and light and decadent Passion Fruit Panna cotta with white chocolate and raspberries. A perfect ending to a lovely meal that is one of the benefits of staying at a hotel that reflects the name of someone who epitomizes excellence. Dont Miss " The American Whiskey Experince" at Andiron Steak & Sea in Downtown Summerlin. 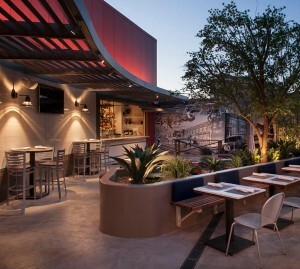 One of our favorite venues is Andiron Steak & Sea in Downtown Summerlin. 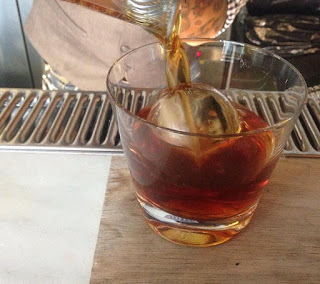 Join us as they host an intimate whiskey pairing dinner created by Managing Partners Chef Joe Zanelli and Steve Jerome, along with Southern Wine and Spirits. The dinner will take place on Wednesday, July 29, 2015 at 7 p.m. and reservations are required by calling Andiron Steak & Sea at 702-685-8002. Don't miss out on your seat at the table. School is in Session in Downtown Summerlin at Public School 702. Need a place to hang out during the blazing heat of summer? 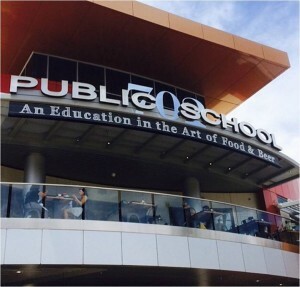 Public school 702 is now open for all those teachers who want “an education in the art of food and beer” and just about anyone who needs a little refreshment from the sweltering heat of Las Vegas. Public School 702 is the newest addition to the restaurant line up in Downtown Summerlin and they know what essential ingredients are needed to create a space that is inviting and a menu that incorporates great fresh ingredients in a up-beat and flavorful manner. This new gastropub has a décor that has educational nuances, including a cocktail menu printed with blue lined composition paper, mathematical flashcards circling the ceiling around the bar along with lab-style communal tables and world globe light fixtures. With 14,000 square feet of bar and restaurant space, there is a seat for everyone. Beer lovers should rejoice because beers from local breweries are available along with 24 beers on tap, with 11 rotating seasonally. If beer is not your drink of choice, various artisanal cocktails as well as wine on tap and in the bottle are available for your selection. We stopped in to see what Public School 702 educating the public about in one of the newest dining and drinking spots in Las Vegas. Our “education” began with one of their signature starters, the speck and eggs. Who doesn’t like a good deviled egg? These four beauties came with the creamy yolk accented with a touch of spice in an egg white cloud. The speck lent that savory crunch with a touch of visual taste appeal (and is a one of the best deviled eggs we have tried in this town). Next on our plate was the Grilled Watermelon & Heirloom salad. The refreshing watermelon and vine ripened heirloom tomatoes arrive in a generous portion sprinkled with the pungent feta cheese drizzled with balsamic. The salad has a nice textural component from an abundant sprinkling of marcona almonds. For the entrée, it just had to be the Prime Flat Iron Steak with Truffle Butter. The steak was cooked to a perfect medium rare, emanating signature pinkness, cut into strips and adorned with a side of chorizo mac and cheese. The succulent steak was highlighted with the Truffle Butter, not over powered by it. The mac and cheese had a nice creaminess, and the bits of chorizo added a bit of heat and texture.